Last year, I tried out a couple of new face creams by Garnier and ended up with two glass jars that I thought were worth keeping. (By the way, it's unfortunate that the cosmetics industry feels the need to "add value" to their products via wasteful packaging.) I didn't immediately know what to do with them, but they seemed too nice just to toss into the recycling bin. The first idea that came to mind was this one. The last time I visited Prince Edward Island, I brought back a small baggie filled with some of their famous red sand. The sand, along with a sea shell, is now contained in this little glass jar. It's like having my own miniature souvenir PEI beach. For some time, I didn't know what I wanted to do with the second jar. 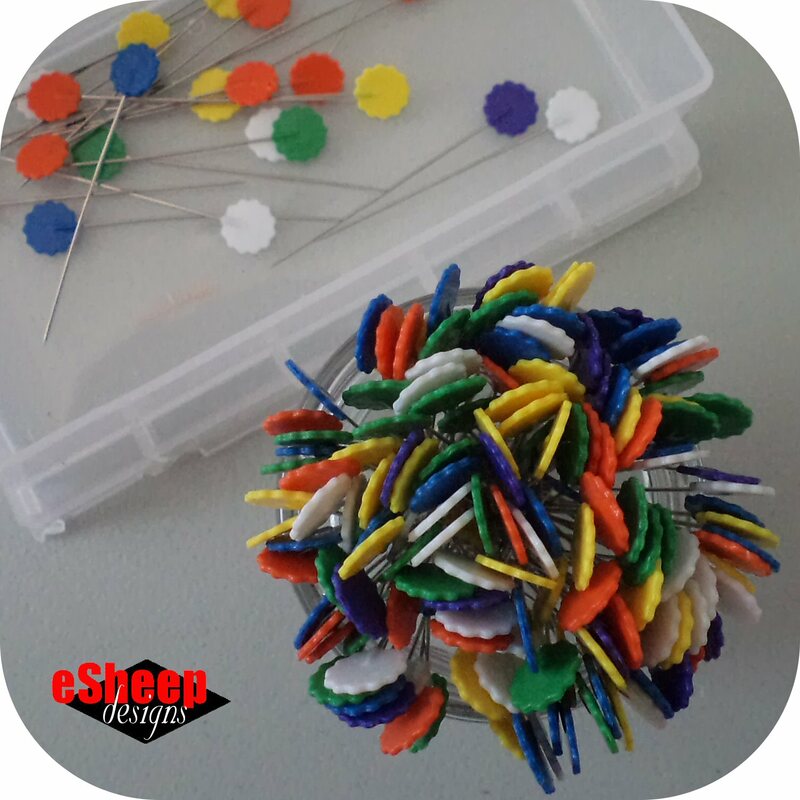 Then I looked at my pile of pins inside their plastic box and had a light bulb moment. 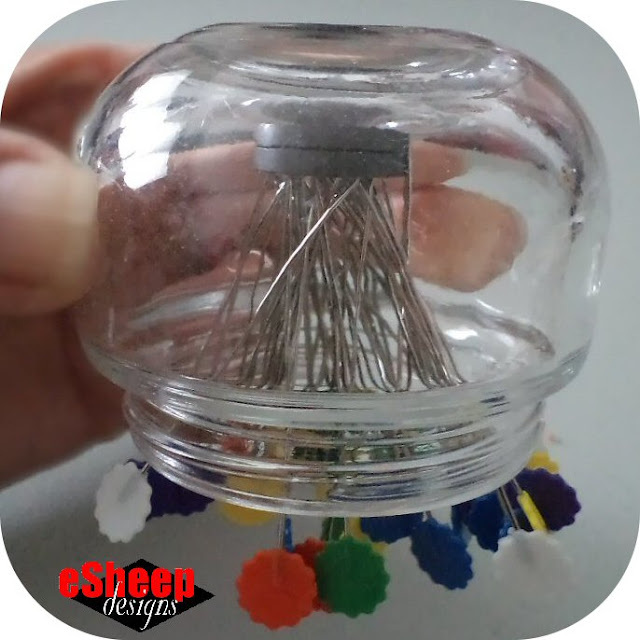 The jar was just the right size to keep my pins handy, with pointy side down. And if I stuck a magnet at the bottom, they would be sure to stay put. So what follows here is one of the easiest — and fastest — ever DIYs to put small jars to use in the sewing room. 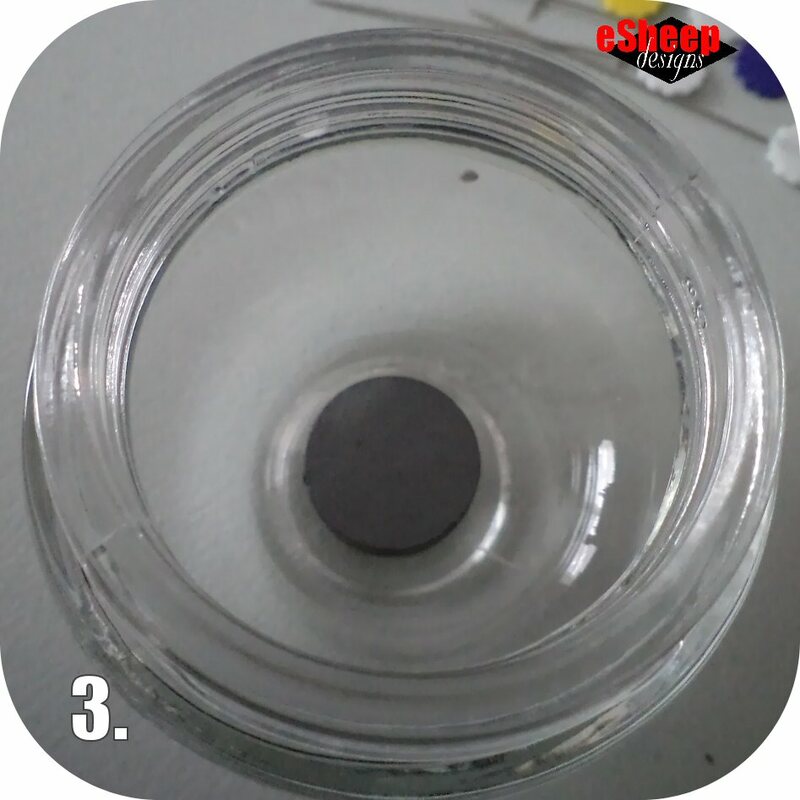 All you need is the jar, a button magnet (or two), some glue, and you're good to go. You've likely seen variations of this project using old plates and saucers, but I prefer to have my pins standing up, to minimize being pricked by them. I don't recall the precise names of the face cream products; they were from the SkinActive line. They all use the same jars, just wrapped in different coloured cellophane. This pack of magnets came from Dollar Tree, where (in Canada, anyway) everything's $1.25. I used two of them inside my jar. Since this was a package of twelve, it wasn't like I couldn't afford to use an extra one. You can hot glue the magnet to the bottom of the jar or use some liquid glue (a generic dollar store "crazy glue") like I did. Drop in some pins and you're done... likely in less than one minute! The double magnets work great. Here is my jar turned upside down with everything holding firm. Then I decided to see how many pins this could hold. That's a lot of pins! I don't know how many pins are in the average box like this (and I have some of those original pins stored elsewhere, too) but this little jar is holding a lot of them. But then sometimes it's not a plus to have it stuffed to the gills if you want to be able to grab a pin quickly. However many pins you prefer to have on hand, this is a nifty addition to any sewing table. Plus, for me, it always feels good to be able to reuse something. 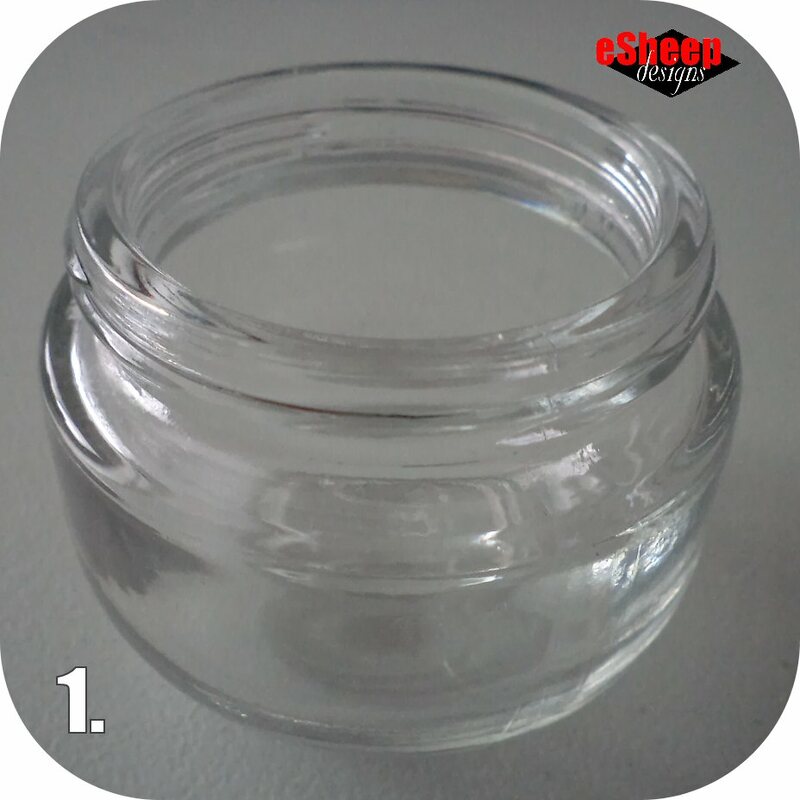 By the way, you can probably think of other ways that these little jars can be reused in a sewing or crafting room, with the lid. 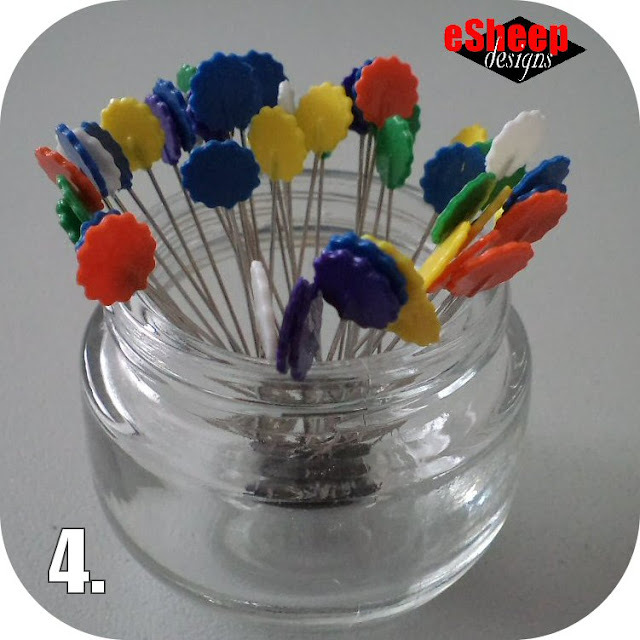 Use them to store buttons, keep safety pins, organize beads, sort snap fasteners, etc. I have made pretty bowls into a pincushion too by gluing the magnet on the bottom of the bowl. Also I have a ton of those little mint tins that I place a magnet or two in the bottom of the tin and then a few pins as my travel pincushion so that if it drops, not all the pins will spill out. Most won't fall out at all, unless you overfill with too many pins. I like how your pins all stand up, where as on a bowl they lie flat. Clever - easy and cheap. No way those pins are going to fall out. Oh, Laura, you made me chuckle!!! I've got such a slew!!! Some of the the things I've done with them: one goes by the bed and holds my glasses (EYE! ), another is in the kitchen drawer holding odds and ends, another in same junk drawer holds picture hangers & nails; to hold seed packets (and they're visible! ); in my sewing room! 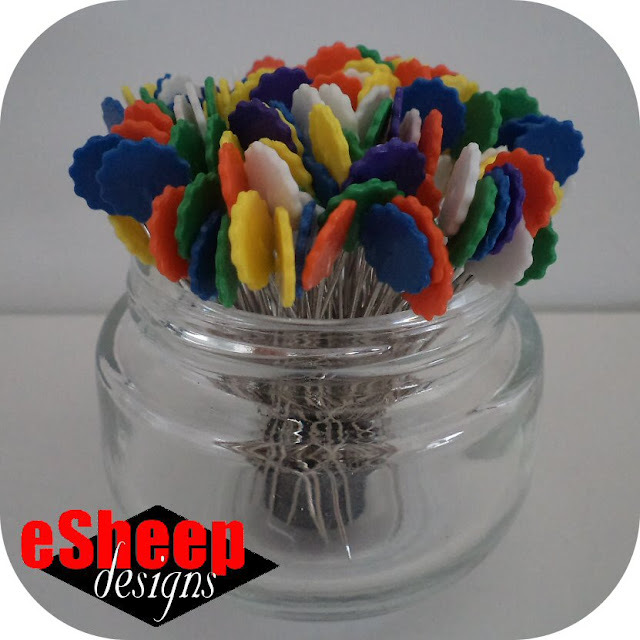 to hold bobbins, pins, other easy to drop/lose stuff; for snack crackers on the go! Or to take candy with you to the theater (I know, it's a no-no). These are just some of the uses! I've stacked and glued several together to lay horizontally; they hold bigger stuff (paint brushes, pencils, etc), and you can slide things in and out. Also! little travel sewing kits--amazing how much these can hold. Hope this helps?! Thanks, Peggy, for joining in the discussion with some great ideas! Thanks, Nikki. I'm learning even as I reply to these comments... had to Google what pimento jars look like! Yes, they would do the job just fine. What a great idea! I also use the hardware store versions of magnetic bowls-the sewing supply places charge absurd amounts of money. And those magnetic holders that put the pin points in the center are way over my price limit. I have some yogurt glass jars that will do just fine for this-I also couldn't stand to throw away the perfectly good jars. Thank you!! You're so very welcome. It's awesome that a simple idea like this is so useful to so many people. Thanks for stopping by and leaving your thoughts. I have been warned that attaching a magnetic light to my computerized sewing machine might hurt it. Would it be safe to use one of these pin cushions next to it? I can't imagine that this little magnet in a jar being "near" (how close would you have it?) your sewing machine would do it harm, but perhaps someone other than me would be a better authority on the subject... I happily sew on an old-fashioned mechanical machine. I don't think it's anything to worry about. 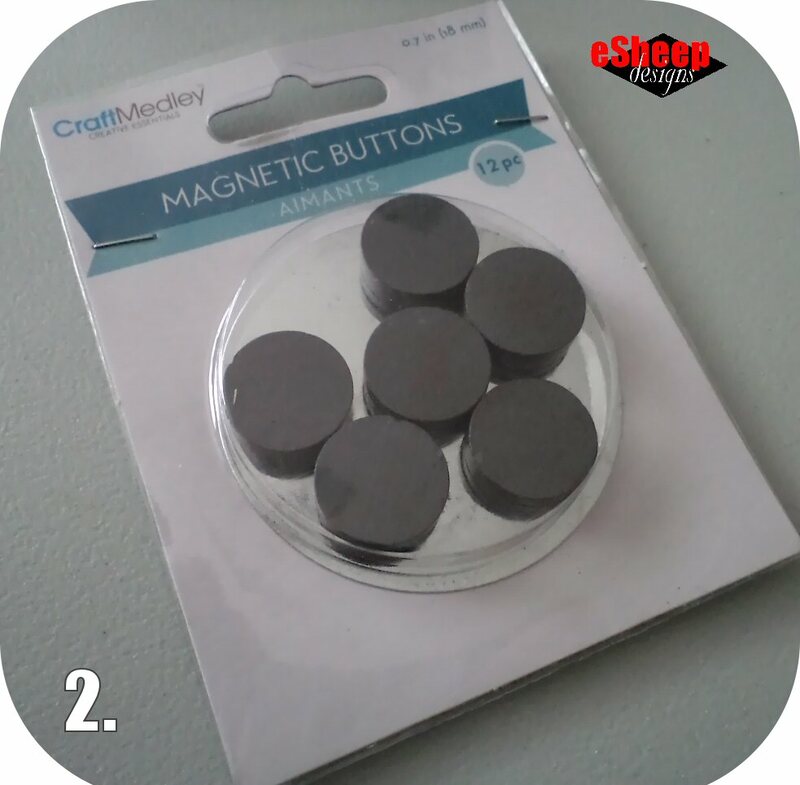 The magnet in the little jar would be further away from the machine than a magnet that is sewn into a fabric pocket using the machine to sew around it (quiet books often have magnet inside fabric flaps that close over pockets). Good point, and thanks for your contribution to the discussion.